The magic of the hand forge comes alive in our “Romeo” balcony railing design. The radiant details of the unique scrollwork place this intricate design in a class of its own. With continuous crisscross vertical bars that meet at the unique central scroll of the “Romeo,” The balcony railing will definitely make your home the envy of your neighborhood. When choosing a King Iron Works, you can rest assured knowing you are investing in the highest quality iron works available on the market today. The gorgeous “Romeo” design will take only one day to install, but will result in a lifetime of aesthetic appeal and security for your home. Improving the curb appeal of your home is only a phone call away. Iron stairs and handrails are the most effective way to create a lasting first impression on any guest that walks into your home. Impress all of your visitors and enjoy the custom look of iron steps and handrails for the main staircase. 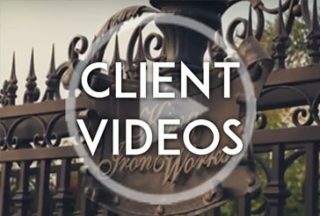 King Iron Works specializes in custom wrought iron designs including iron doors, gates, stairs, handrails, and other accents that truly add luxury to the design of your home or commercial property. 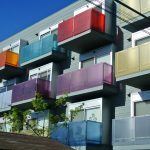 Our projects throughout Los Angeles in cities including Beverly Hills, La Canada, Glendale, Burbank, Hollywood and Pasadena include staircases and custom handrails that truly make a unique statement. King Iron Works designs have been featured in design publications for inspiration, including the showcase “Retina” Design. The “Retina” staircase is a premier iron staircase and handrail design that was created for a gorgeous La Canada Mansion. The magic of the hand forge comes alive in our “Cinderella” guard railing design. The radiant details of the unique scrollwork place this intricate design in a class of its own. 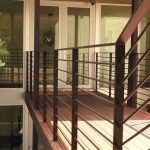 With continuous crisscross bars that meet at the unique central scroll of the “Cinderella,” The guard railing will definitely make your home the envy of your neighborhood. When choosing a King Iron Works, you can rest assured knowing you are investing in the highest quality iron works available on the market today. The gorgeous “Cinderella” design will take only one day to install, but will result in a lifetime of aesthetic appeal and security for your home. Improving the appeal of your home is only a phone call away. The magic of the hand forge comes alive in our “Juliet” guard railing design. The radiant details of the unique scrollwork place this intricate design in a class of its own. With continuous crisscross vertical bars that meet at the unique central scroll of the “Juliet,” The guard railing will definitely make your home the envy of your neighborhood. 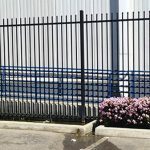 When choosing a King Iron Works, you can rest assured knowing you are investing in the highest quality iron works available on the market today. The gorgeous “Juliet” design will take only one day to install, but will result in a lifetime of aesthetic appeal and security for your home. Improving the curb appeal of your home is only a phone call away. 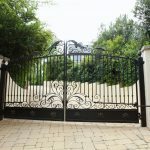 King Iron Works can create wrought iron staircases, railings, and other custom designs for your home or business no matter what unique style or particular look you are trying to achieve. 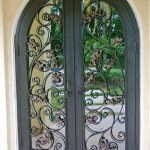 The aesthetic versatility and timeless style of wrought iron makes it a popular choice for luxury homes and estates. 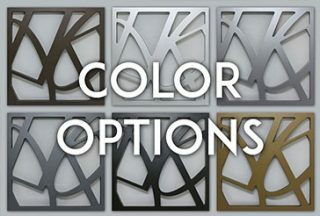 The timelessness and strength of custom wrought iron designs are unparalleled. 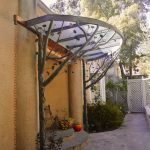 Custom iron installments will maintain their charm and continue to embellish your home through many decades. 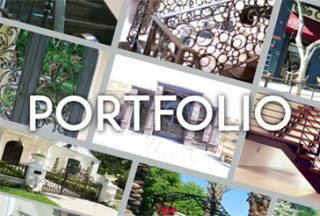 At King Iron Works, our extensive portfolio that spans over forty years of projects truly represents the reliability and quality craftsmanship of our time-tested designs. We have built a reputation for our dependable and precise designs that are created and fabricated to match the vision of the client as accurately as possible. When working with King Iron Works, you will be involved in the creative process every step of the way. If you’re interested in creating a custom staircase installation for your home or business, or have another unique project idea in mind, visit the King Iron Works eight thousand square foot showroom for inspiration and a consultation regarding your project. We look forward to hearing your ideas and making your vision come to life.